A relatively small group of musicians have had top 10 singles in their careers. An even smaller group have written platinum selling albums. 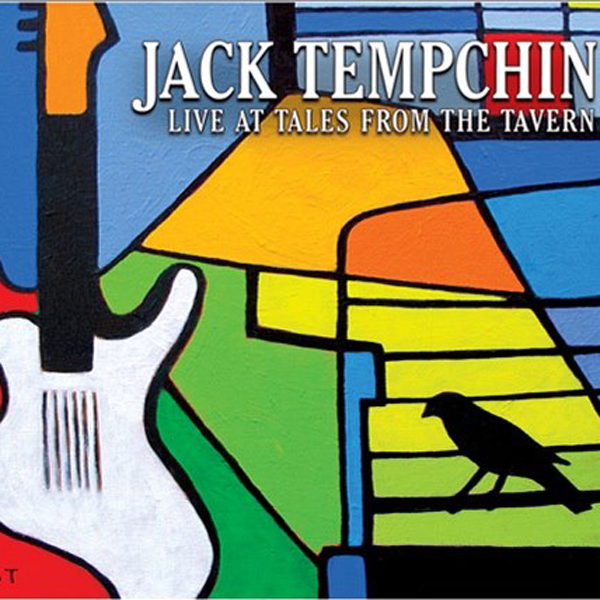 Jack Tempchin on the other hand, is part of the elite club that has not only written for platinum selling albums, but one of the best selling albums of all time (29x platinum), "Their Greatest Hits 1971-1975 - Eagles." Some of the most beloved songs in American pop music including "Peaceful Easy Feeling," "Already Gone," "Somebody," "The Girl From Yesterday," "You Belong To The City," and more have been penned by Jack Tempchin. We had the privilege of meeting Jack at the ASCAP I Create Music Expo 2011. With a discography like his, you'd think there would be an ego to match, but not so with Jack. He came to our table as an ethusiastic fan of our FourTrack iOS app. It was only later that we learned who we were speaking to, and his amazing contributions to music. We're honored and humbled that a songwriter of Jack's caliber is using FourTrack for crafting their timeless hits. You don't know Jack? Read on to learn about this amazing songsmith. How long have you been writing music, and how did you get started? I started writing songs around 1967. Before that I played harmonica in a blues duo. I was learning guitar but other peoples songs were to hard to learn, so I started writing my own. How did your relationship with The Eagles begin? I met two scruffy music guys who had come down from Hollywood to play at the Candye Company coffee house on El Cajon Blvd. This was the duo called Longbranch Pennywhistle which was Glenn Frey and J.D. Souther. I invited them to stay at my big hippie pad that had a washtub bass in the living room for jug band jams and a candle shop in the garage. This was years before the Eagles were formed. We became friends then and we are still friends. When the Eagles came along I already knew Glenn Frey. "Peaceful Easy Feeling" is one of your most popular songs. When you first played it for the band, what were their reactions? I never played it for the band. Glenn Frey heard it when I was staying at Jackson Browne's house. He came into the room and said, "Whats that?" I said it was my new song. He taped it on a cassette recorder. The next day he came back and said his new band, which had only been together for 8 days, had worked up the song and he played me a cassette of them doing it. That band was the Eagles. Everywhere. Officially, all songs are inspired by my wife, even the songs I wrote before I met her! Ideas come from everywhere and nature is full of music. We hear you are a big fan of FourTrack. How has it helped your songwriting? I took a bass guitar case on tour with me in the 80's, I called it my "Go Wild Station." It contained a cassette 4 track recorder and little mini mics and a mixer to plug in guitars and a Casio keyboard. It was created to write songs by capturing live jams on the road. I wrote songs on it that were used in movies and on albums. It was hard to keep it working. Everything had a battery and they were always going dead. It took 5 minutes to turn everything on. What I am trying to say about FourTrack is that I have been looking for something like this all my life! I cannot believe I'm carrying it around in my phone! I also think it is the best app of it's type that exists at this time. They can go to Facebook.com/jacktempchin, or see videos of me writing a song a day for two months at "Jacksongaday.com" Or hear my music set to videos of nothing but beautiful girls at "thingerthongwriter.com" Also I give away one free MP3 track every month to those signed up to my email list. "What I am trying to say about FourTrack is that I have been looking for something like this all my life! I cannot believe I'm carrying it around in my phone! I also think it is the best app of it's type that exists at this time."